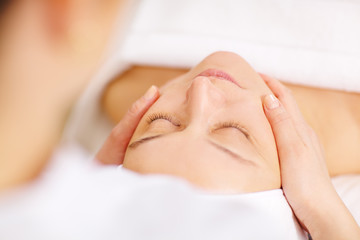 Includes a full European facial with a specialty masque or microdermabrasion touch-up. Voted "Best New Aesthetic Device of the Year"
DermaPen offers smooth, revitalised, and younger looking skin. Karen is delighted to have brought this much talked about technology to Durango. ​hyper-pigmentation, and scars from acne and surgery. What does it cost to take care of your skin? Luxurious face, neck, and shoulder massage also included. When you want to look your best...before any special occasion. Beneficial to dry and oily skin by sloughing off dead skin cells that impede moisturization and clog pores, a major cause of breakouts. Equally effective in smoothing out fine lines, treating acne and counteracting sun discoloration. Series of 6-8 recommended. The Dermapen™ is an FDA-approved electronic device that offers a new option for clients wanting to get rid of the embarrassment of acne scarring and wrinkles. 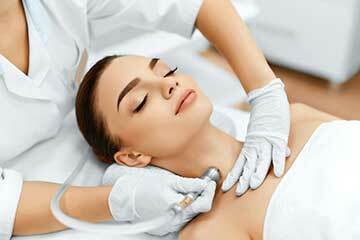 The Dermapen™ offers a safe, comfortable and effective alternative to laser resurfacing. 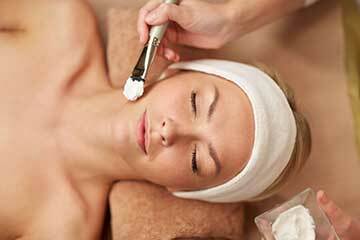 Microdermabrasion cleans the surface of the skin, removing the upper layer of dead skin. It encourages skin renewal, aides in removing scars, pigment spots and fine wrinkles. It also improves blood circulation in the skin and also stimulates the formation of collagen and elastin which makes the skin more elastic, supple and youthful.